NATICK, MA, February 23, 2012 — You could say J. Peter Robinson has been around the block a few times. In fact, you could say he’s been around the world more than once, too, both the real world and the world of entertainment media. Classically trained at the Royal Academy of music in his native London, Robinson moved easily between the worlds of theater, where he was the pianist for Andrew Lloyd Weber and Tim Rice on the original production of “Jesus Christ Superstar,” and rock, as a member of bands fronted by artists including Eric Clapton, David Bowie and Phil Collins. He was equally adept at the transition to media composing, creating music for television series including Charmed and five-time EMMY Award® winner Deadliest Catch, and feature films including Wayne’s World, Encino Man, Highlander: The Final Dimension and the soon-to-be-released Nicolas Cage film Seeking Justice. 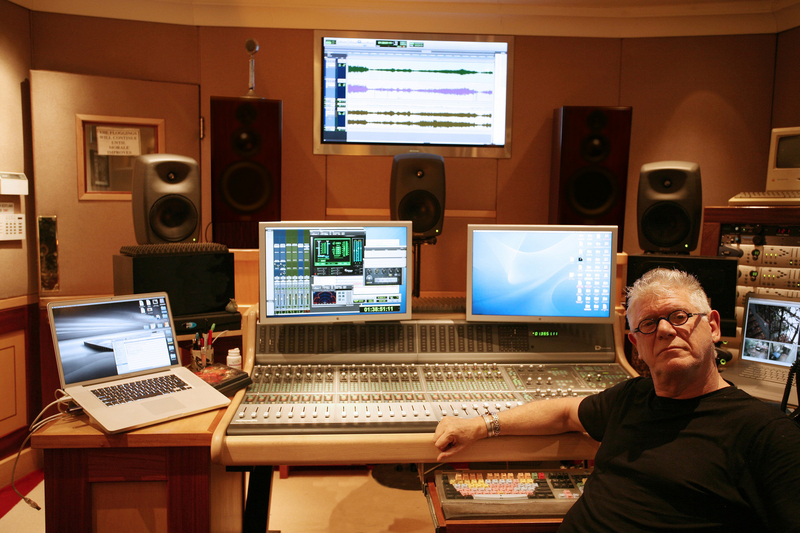 In fact, it was exactly that wide-ranging eclecticism that led Robinson to choose Genelec Active Monitors for the first 5.1 surround monitoring system in his personal recording and mix studio in Los Angeles. After carefully vetting a wide range of speakers, Robinson decided upon three Genelec 8250A Bi-Amplified DSP Monitors for the L-C-R array, a pair of Genelec 8240A Bi-Amplified DSP Monitors for the left and right rear surrounds, and a Genelec 7260A Active DSP Subwoofer. The system was purchased from West L.A. Music and installed late last year.